At the opening of Child Protection Week, people were reminded of the African saying: "It takes a village to raise a child". Communities have a very important role to play in raising children and helping them to learn and develop. Communities must also work together to stop violence against children. One way to help develop and protect children is to start early childhood development centres. These are places of care like creches, playgroups, nursery schools and afterschool centres where children can learn and play safely. 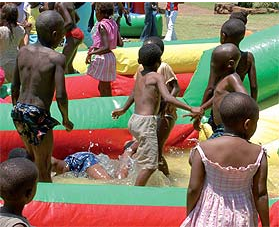 Government has put together guidelines for early childhood development centres. The guidelines help care givers to spot early signs of problems in children. These include neglect, abuse, poverty, HIV and Aids and disabilities or learning problems. In this way government will be warned at an early stage what the problems are. It will then be able to give more help and protection to the children. Communities are reminded to use government's Child Protection Register. The register has information on abused children. 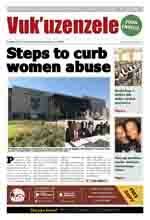 This helps social workers to get involved and stop the abuse. Early childhood development centres can also help government to reduce unemployment and poverty because they form part of the Expanded Public Works Programme. The programme creates job opportunities for unskilled people and helps them to learn skills on the job. The Department of Social Development together with the Department of Education, registers early childhood development centres and gives care grants or funds to run the centres. The department is aware of 23 482 centres. Only about 9 000 of these have registered. Many do not have the necessary materials or trained teachers to ensure the proper development of the children in their care. All centres are encouraged to register so that government can help them with funds. Through the Early Childhood Development Programme, government aims to train 19 800 care givers over the next five years. This will help them to earn money and will also improve the way in which children are taught. The programme ensures that all children from poor households have access to these centres. It also focuses on training and placing unemployed graduates and matriculants in the Early Childhood Development Programme as part of the Expanded Public Works Programme. Stopping violence against children and reducing poverty was the main theme for Child Protection Week.